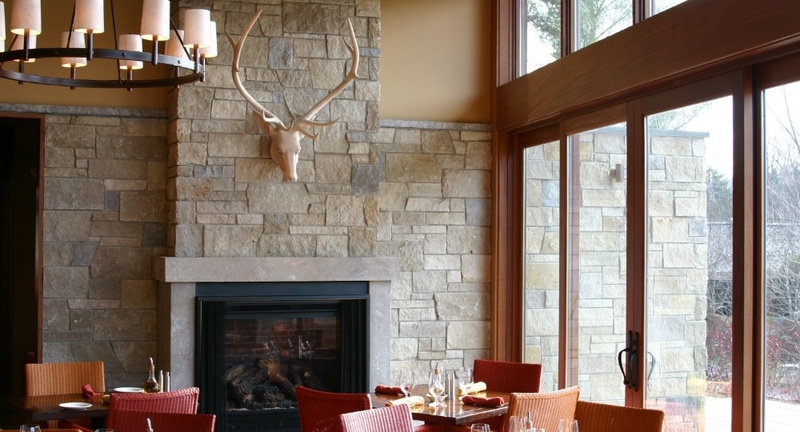 Attractive, durable, and maintenance-free, thin stone veneers are a great way to add value to any property. Today’s manufactured stones have come a long way from their original creations; often homeowners are hard-pressed to tell the difference between real stone and today’s manufactured stone products. Companies like Boral Cultured Stone and Eldorado are producing dozens of options with different profiles, textures, and colors. Manufactured stone products are lighter and less expensive than real stone, making them an economical and practical alternative to real stone veneers. 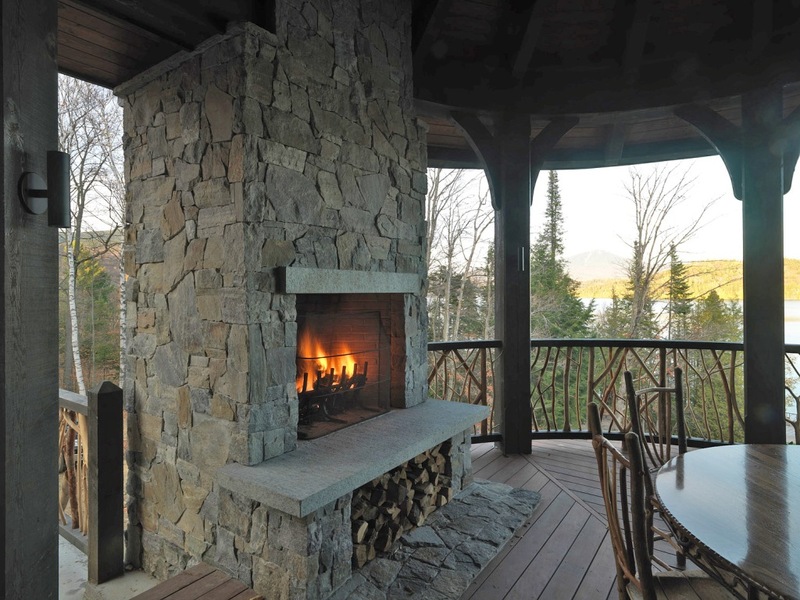 Popular applications include around fireplaces, entrance ways, and foundations. 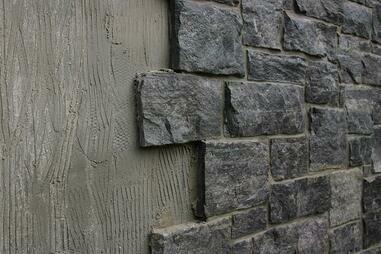 When applying thin stone veneer to exterior plywood, a moisture resistant barrier is necessary. A moisture resistant barrier usually consists of house wrap and felt paper. Then a layer of metal lath is attached to the wall. Next, a scratch coat of type S or type N mortar is applied to the metal lath. Once the scratch coat of mortar dries, this will be the base on which the veneer will be applied. Many masons today will use a thinset to apply this product instead of regular mortar, because thinsets have better adhesion. Thin stone veneer can be directly applied to concrete surfaces without a moisture resistant barrier or a layer metal lath. Keep in mind many manufactured stone veneers require that their product be installed 2 to 4 inches above the ground when applied on exterior surfaces. Check with your local retailer or the manufacturer of the product that you purchased to confirm the appropriate requirements. As well, building codes vary from region to region, so be sure to check with your local building inspector before you begin your project. When cutting metal lath, be sure to wear gloves and safety glasses. Appropriate tools for cutting metal lath include a diamond blade on an angle grinder or large tin snips. Cutting metal lath can be challenging. Metal lath often comes in large flexible sheets such as 2ft by 8ft. Often professionals will attempt to cut metal lath as it lies on the ground. Bending over while cutting the metal lath and partially lifting the metal lath off of the ground makes for awkward orientation to the metal lath, reduces optimal ergonomics, and causes the metal lath to bend while being cut. This can make it difficult to cut metal lath in straight lines quickly. One excellent way to eliminate these complications is to raise the metal lath off of the ground and support the edges with sawhorses so that the metal lath is horizontal at waist level. Then, on one edge of the metal lath, attach an 8ft 2x4 with some temporary staples. This way the metal lath remains secure and flat when being cut. Having the metal lath at waist level eliminates the need to bend over when cutting. Laying another 2x4 on the line that is to be cut, and cutting the metal lath along the edge of that 2x4, enables a straight line to be cut quickly. As well, to make sure that your metal lath is oriented correctly before it is installed, run your hand upward on the metal lath. The metal lath should feel rough when running your hand upward on it. Also, use a 2x4 to bend any pieces of the metal lath that will be placed in inside corners. Laying the stone pieces out on the floor before installation provides a number of benefits. It confirms that there is ample material for the required square area to be covered. It also enables an optimal mix of the various sizes and colors. Otherwise, there may be too many of one size or of a certain color in one area. This is especially true if there are multiple products being used i.e. thin ledge stones and large round stones. There may be certain stones that you want in the center of the wall and/or certain stones that you want towards the edge. If it is necessary to cut some of the stones, laying the stones out on the floor enables you to choose which are best suited to be cut before the project begins. This may also help ensure that as few stones as possible are cut. Before the installation, lightly dampen the concrete or masonry surface that the stone will be applied to. Be sure not to over saturate the concrete or masonry surface. Too much water can make the thinset or mortar become “runny”. A lightly dampened surface will help the thin stone veneer adhere to the surface. Also, make sure that the thin stone veneer pieces are clean of any dirt or dust. Lightly dampening the back of the thin stone veneer pieces can also ensure a better bond. When applying the veneer, start by applying the corners first, beginning at the bottom and working your way upward. Every corner has a long leg and a short leg. When applying the corners, alternate the long and the short legs on the same surface (i.e. one long leg, one short leg, one long leg, one short leg…). This will set up a staggering pattern for the rest of the wall and will ensure that there is not a straight joint running the length of the corner. Now, when beginning to apply the thin stone veneer to the flat surface of the wall, start at the top of the wall and work your way down to the bottom. This will keep any mortar or thin set that falls from landing on the face of the thin stone veneer. If for any reason mortar or thin set does get on the face of some thin stone veneer pieces, let the mortar or thin set dry slightly before being removed. Use a whisk brush to remove any slightly dried mortar or thin set. This will reduce any smearing of mortar or thinset on the face of the stone. Every technique usually has its fair share of pros and cons. Something to be careful of when working from the top down, is to watch out for thin stone veneer pieces that begin to sag. Sagging pieces are less likely when working from the bottom up and are easier to correct with shims when working from the bottom up. 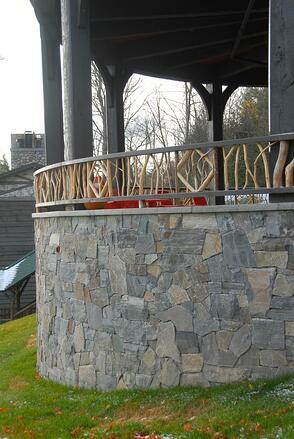 Often when applying thin stone veneer, some pieces may need to be cut. A diamond blade on an angle grinder is an appropriate tool for cutting these products. If your veneer is a manufactured stone, cutting pieces will expose aggregate. There are several ways to hide exposed aggregate. Instead of cutting thin stone veneer pieces at 90 degree angles, cut them at an angle greater than 90 degrees (back cut) so that your cut goes behind the face of the pieces. Also, rounding the corners of the cut edges can make them look more natural. Mixing mortar with mortar dye that matches the face of the cultured thin stone veneer and then smearing the mortar on the cut edges will help blend in those edges. Additionally, choosing smaller pieces to cut and then placing them against larger pieces can help hide cut edges. Another technique is to place pieces with cut edges in inside corners or close to an inside corner, with the cut edge facing the inside corner. If grout is to be used between the veneer pieces, the grout itself can be smeared up against any cut edges. If a grout bag is to be used, mixing the mortar a little wetter than normal will help keep the grout bag from clogging at the tip. Also, cutting a 5/8” hole at the tip of the grout bag can make grouting easier. As well, rinsing the grout bag every 3rd bag full will also help keep the grout bag from clogging at the tip.